While the closet of a woman is full of shoes, mine is full of tripods. 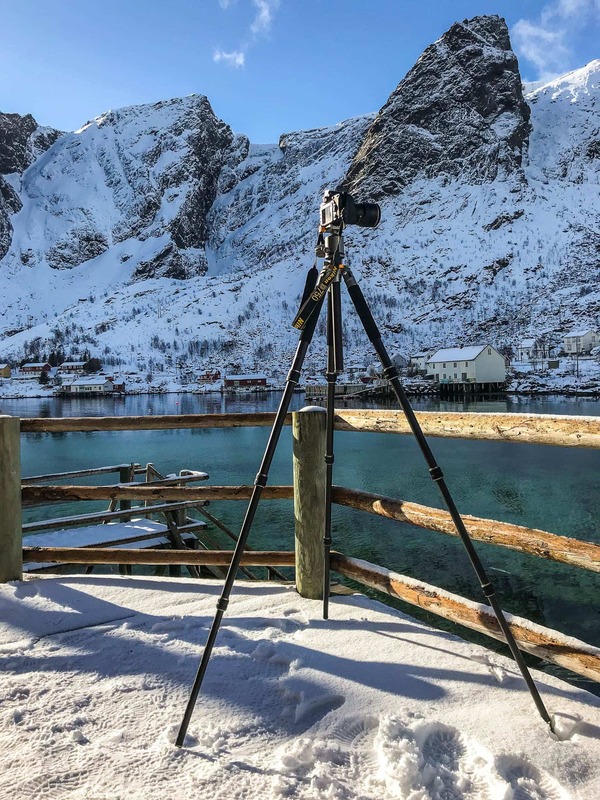 It is no secret that I believe that having a good tripod is fundamental to every landscape photographer (we already talked about it HERE), and this is also not the first time that we talk about the Rollei brand. 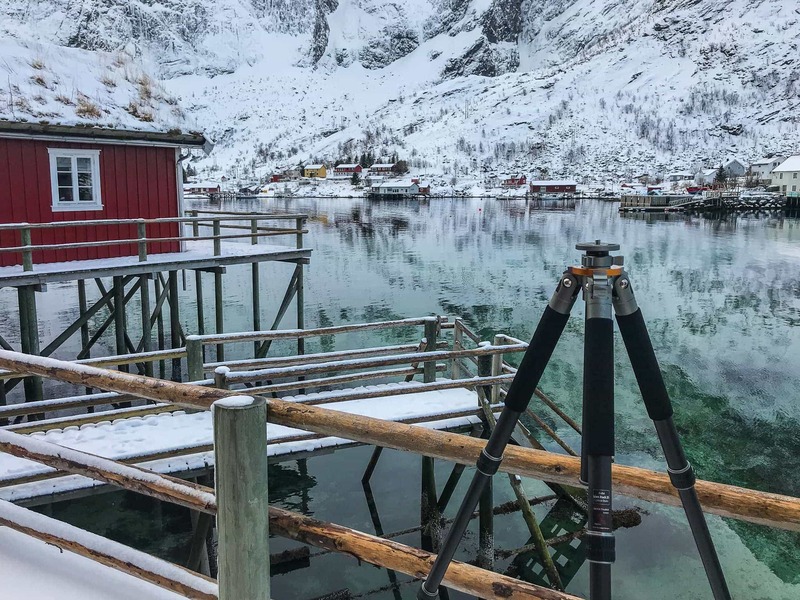 In fact, if you remember, my trusted tripod has been a Rollei Rock Solid Beta for quite a long time, and it’s been a while since I made a review of it, which is available HERE. 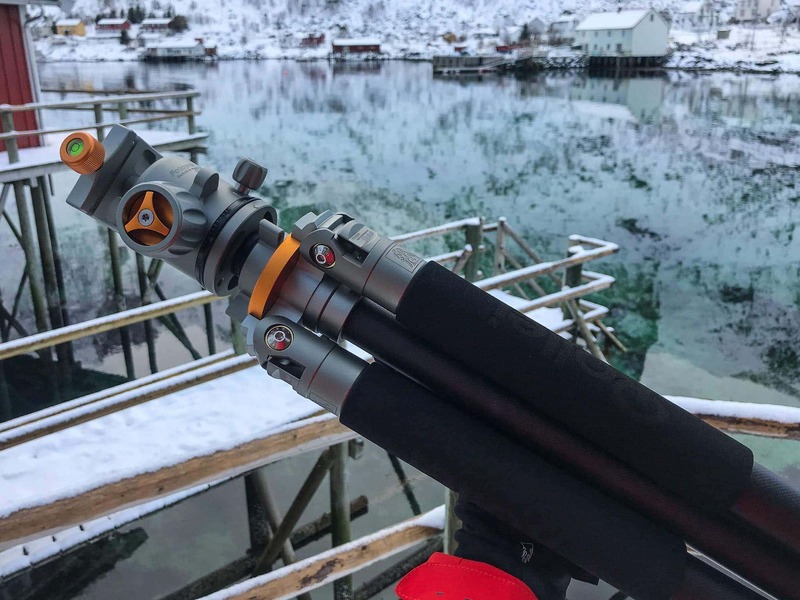 Although this tripod is, without any doubts, already light years ahead in comparison with the more popular Manfrotto models in terms of build quality and stability, surely during these years of use I have sometimes happened to find myself in certain situations where a few improvements would have been handy. 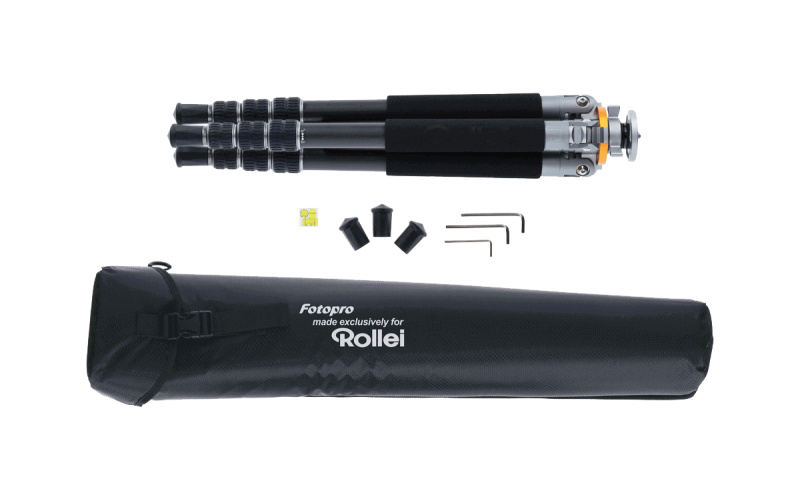 I’ve been so thrilled to know that Rollei has decided to put together all the feedback received from professional photographers in order to create an even superior series of tripods: the Rollei Lion Rock Mark II. Will this hold true? Let’s go and find out! 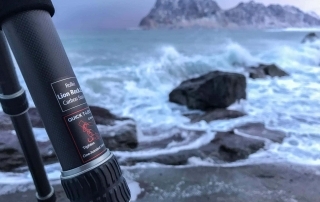 Like the Rock Solid Mark II series, also the Lion Rock is available in three models so as to adapt to different photographic needs. For my photographic needs I have chosen the Lion Rock 25 Mark II, which we are now going to examine in detail, also comparing its features to those of the Rock Solid Beta. Taking it out of its package is already a delight. In fact, the tripod comes in a classic cardboard package, but once again, it’s a nice surprise to find a carrying case already included. The carrying case has been clearly improved compared to that of the Rock Solid, with regard to both the materials and the appearance. 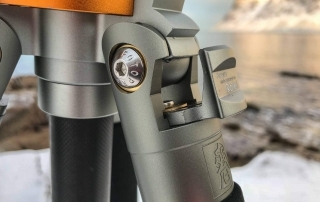 When we take the Lion Rock 25 Mark II out of its case, as usual, we find three spare rubber feet, the Allen keys for maintenance and the owner’s manual. 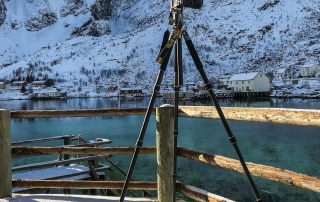 If at this point we are already on another level compared to the scanty equipment provided by other brands, in comparison with the Rock Solid series we also find a storage net included, which can be attached to the tripod once it has been opened and positioned: this is definitely useful if we are in a situation where there is no wind and we can therefore make use of a handy support for our remote control, filters and everything else we might need. The first reaction is simply: wow! 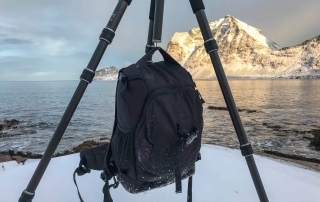 When comparing its characteristics to those of the Rollei Rock Solid Beta, with a similar size and weight we now gain more than 10 cm of usable height, which for me is absolutely fantastic, as I’m particularly tall. Even if we now have a few more centimeters of length when folded, the checked luggage test has been passed with honors, as it absolutely has no size problems even inside luggages of medium dimensions. 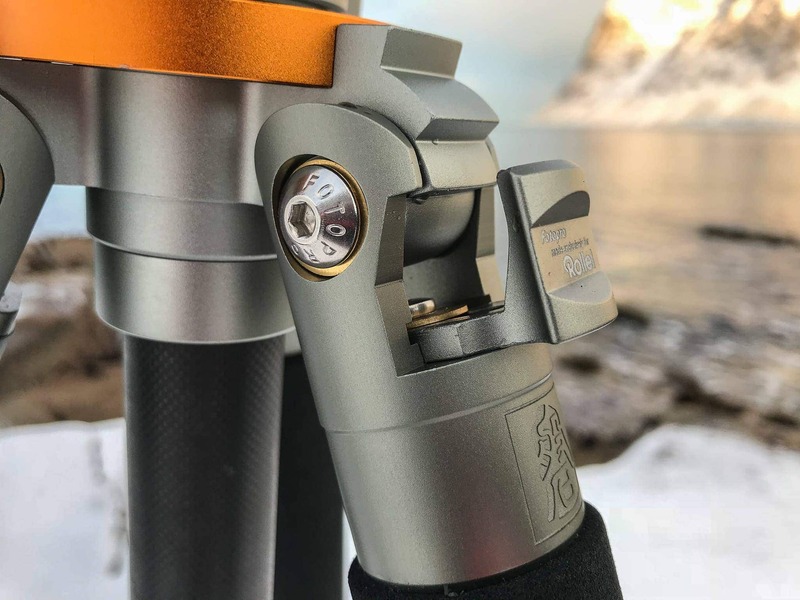 Let’s now go to have a look under the hood to find out which other improvements have been made to the tripod. Without any doubt, the first sensation that we have as we take it in our hands is that of lightness and stability. 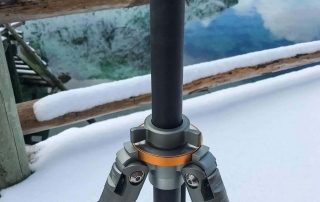 When the tripod is folded, we immediately notice that all the three legs are equipped with hard foam grips: this is absolutely perfect in case of high temperatures where sweat would compromise our grip, and also when it’s cold, as in this way it’s not a problem to take the tripod with bare hands. Besides, the foam on all legs guarantees an extra protection during transport, because it will protect the precious carbon legs from accidental impacts: this is great especially for checked baggages. The legs are composed of four carbon segments, with 11 layers. 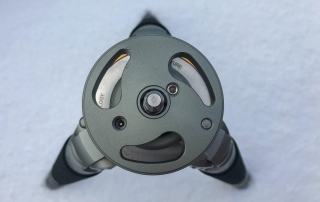 I want to underline the 11 layers because often many tripods are made with 8 layers. What is the difference? Simply: stability. 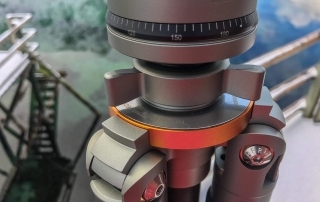 External diameter being equal, in fact, the tripod will be stiffer. 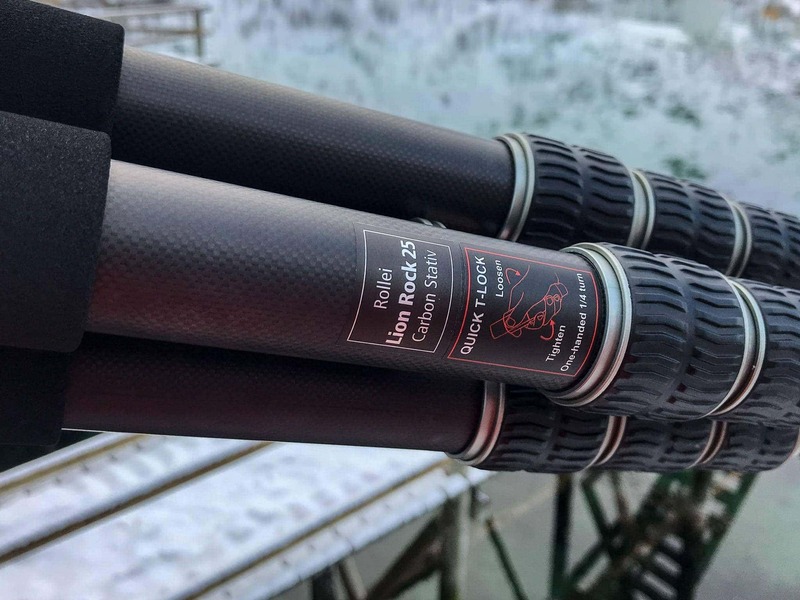 The four legs are taken out by using a quick release locking mechanism that was already found in the Rock Solid series. 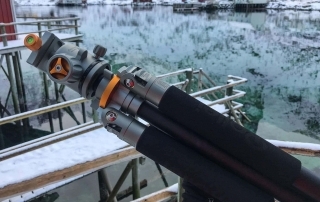 The mechanism has been further improved, in terms of ease of use (now the release knob is slightly larger so as to facilitate its use also when we wear gloves) and functionality: in fact, the inner leg guideways and o-ring system have been completely revised so as to virtually eliminate any possibility of infiltrations of foreign particulate. 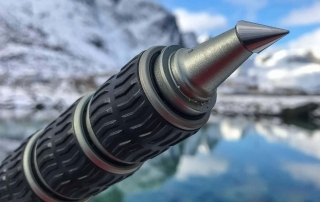 Even if this feature was already excellent in the Rock Solid series, in certain situations it was still possible to have a few problems, especially in the presence of very fine particulate. 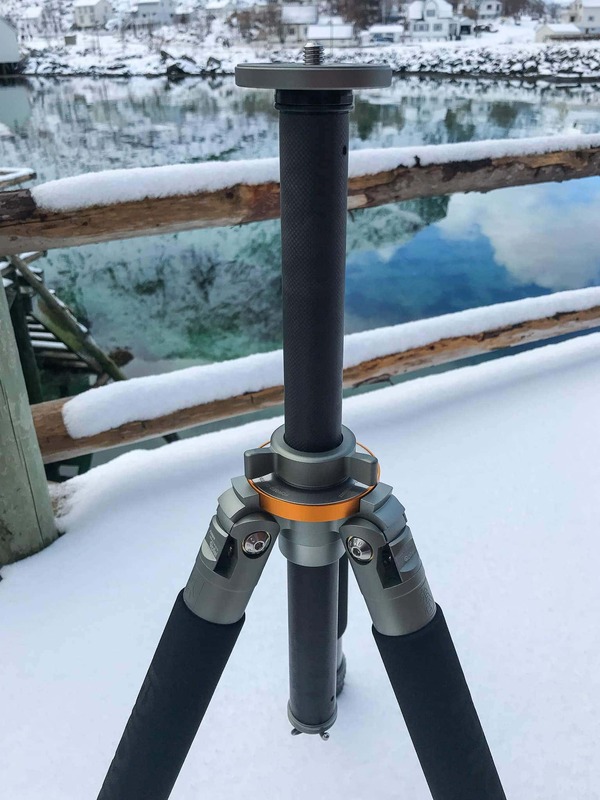 In fact, I happened to find myself at beaches where the sand was as fine as dust, and at the end of the day it was necessary to completely disassemble the tripod so as to make sure that no sand was left inside the guideways and legs. 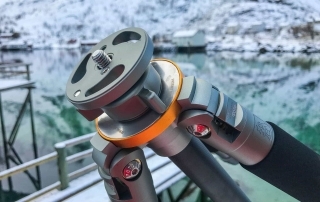 No problem in doing that because – differently from what happens with a Manfrotto style tripod – the operation can be carried out in no more than 5 minutes, but it’s still a hassle that’s better to be avoided. Thanks to this new sealing system it’s never been necessary to resort to that operation. The center column (always removable!) 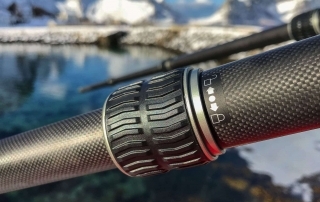 is made of carbon as well and it’s very stable due to the larger diameter. 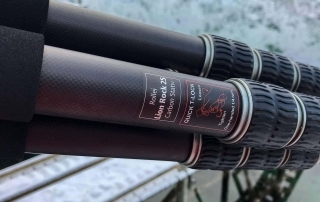 Surely, as always, we should extend it only in case of true necessity, so that we don’t compromise the overall stability of the system, but, since I have already needed to use it many times, I can say that I am absolutely pleased with this upgrade. 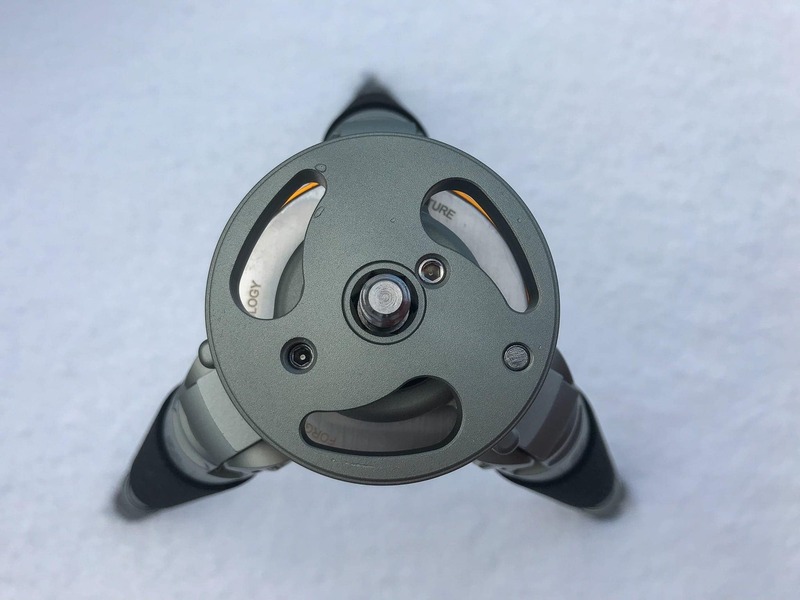 Similarly to the Rock Solid series, there is a hook to attach an additional counterweight to the tripod, and one o-ring next to the hook, so that when the tripod is folded the carbon legs won’t touch each other and therefore they won’t get dented. 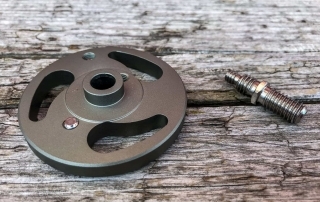 The head mounting plate can be removed by unscrewing it. 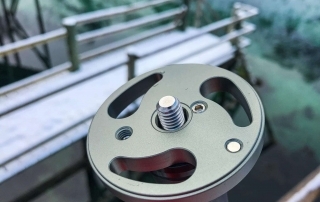 In addition to allowing the removal of the center column, it also allows us to access the head mounting screw so that we can choose to use a 3/8” or 1/4” thread, thus making it compatible with any tripod head available on this planet. One of the improvements that I have certainly appreciated the most was aimed at the feet. My Rock Solid had rubber feet, which could be removed in order to install metal spikes. 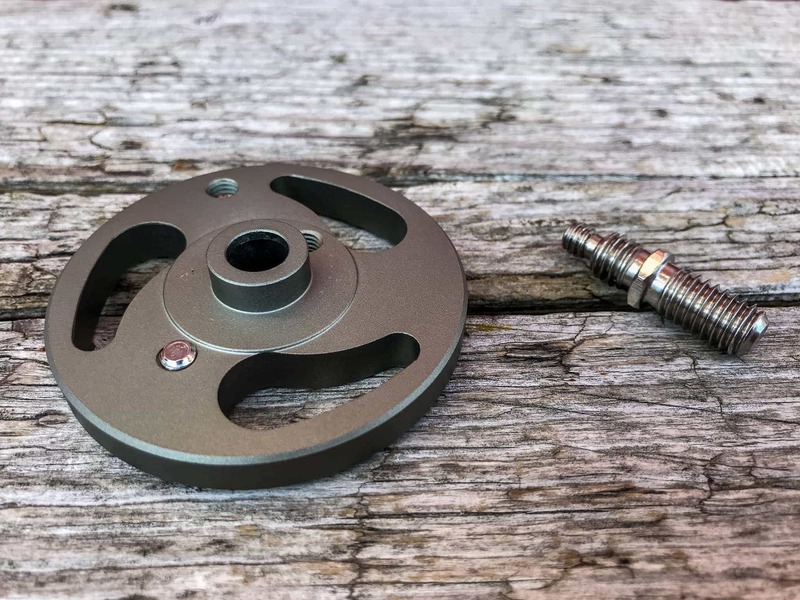 Absolutely great, but they had two problems: the first was that when you are out for taking shots you can have time for many things but not for unscrewing and replacing three objects. 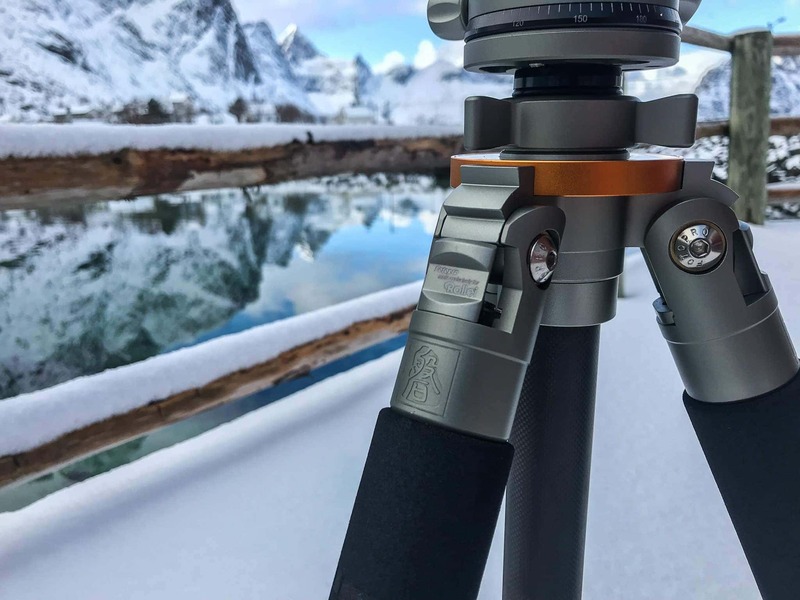 The second is that spikes do not always contribute to the stability of the tripod: in fact if the the load on the tripod is high, it will cause a downward pressure thus causing the legs to open laterally. 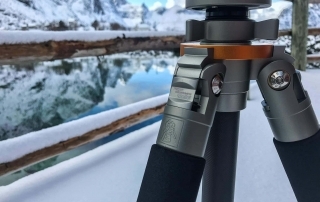 This problem can be there even in case of a reduced load when we place the tripod on surfaces such as ice. 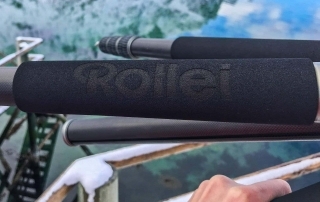 Rollei has successfully solved these problems. 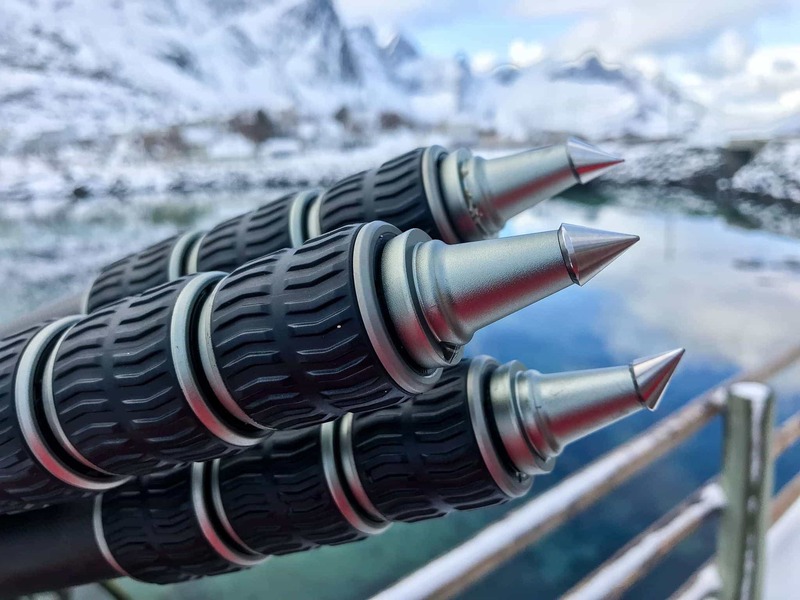 First of all, the spikes are now always installed and simply covered with rubber feet: when we want to use them, we’ll just have to remove the rubber feet and there we will already find the spikes. 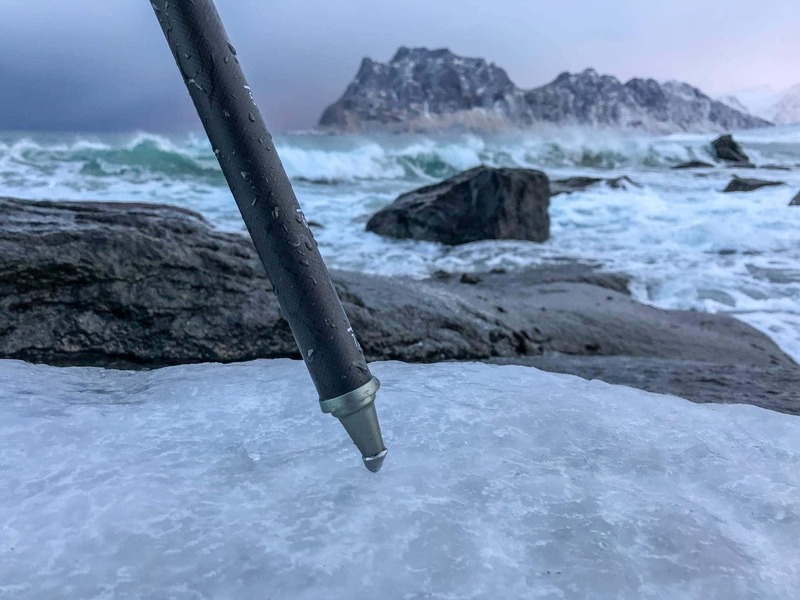 Also the geometry of the spikes has been modified: instead of being linear, they now have an inclination allowing them to stick perpendicularly in the ground, with which they therefore form an angle of about 90 degrees. They resemble wasp stingers…or, keeping to the subject, the claws of a lion! 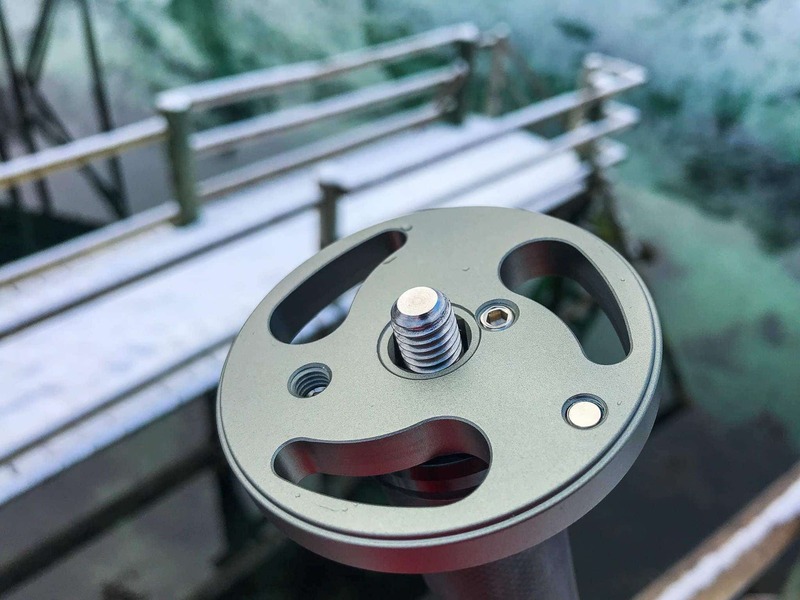 Once the spikes are stuck in the ground, thanks to their angle, the weight will be completely on the vertical axis, thus substantially contributing to increasing the stability of the system, instead of causing the legs to open! So what about going to test the Lion in action? 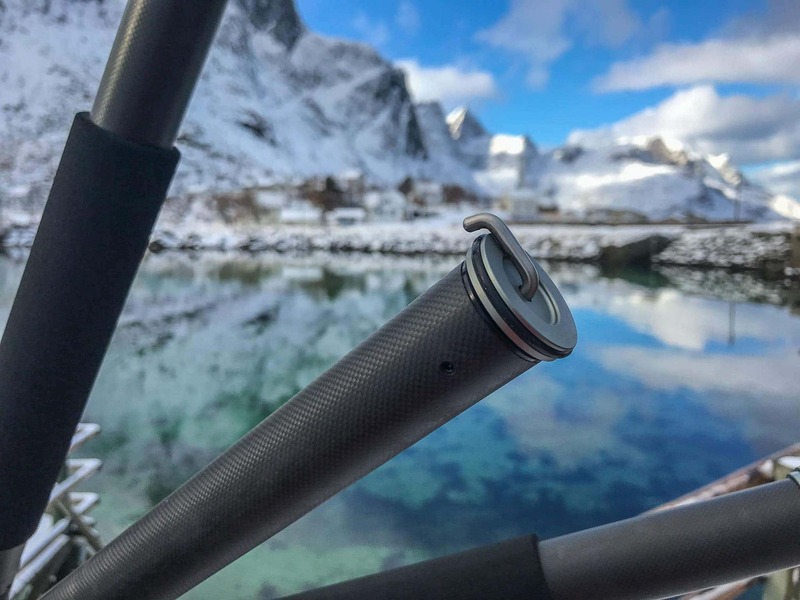 Since its release, I have had the opportunity to try this new Lion Rock 25 Mark II in various situations but doubtlessly the most significant test has taken place during my trip to the Lofoten Islands, in Norway, where environmental conditions were anything but favorable. 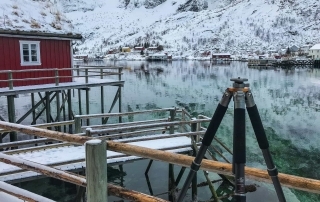 In fact, the tripod has been tested in conditions of snow, strong wind, on the ice, within temperature ranges from -4°C to -19°C and sprinklings of seawater everywhere. In short…my paradise! 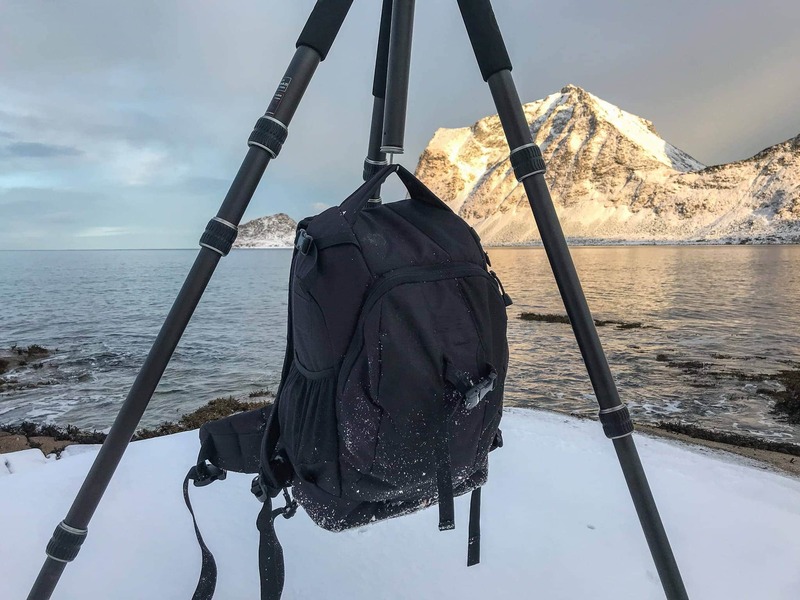 The equipment used (and so the load) has been a combination of DSLR with wide-angle lens, various types of ball heads and filters, reaching a weight that was clearly inferior to the maximum load. I am absolutely ecstatic with the results. 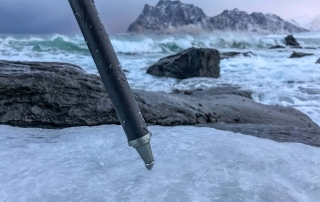 Stability is absolute: the strong lateral wind is never a problem especially when the claws are stuck in the ground. I did even try to manually force the legs at different heights so as to check its behaviour in terms of bending: even with the legs completely taken out, bending is minimal and this is due to the 11 carbon layers and also to the fact that a good portion of the extended leg remains inside the larger leg segment, thus reducing flexibility. In the presence of ice, the claws really make a difference, and in case of use at a beach, not even a single grain of sand was found inside the legs, when I then cleaned them. As always, the extension and inclination of the legs can be independently adjusted, and this has allowed me to solve even the most challenging compositions (the minimum height of about 16 cm is simply perfect for handling compositions with important foregrounds!). 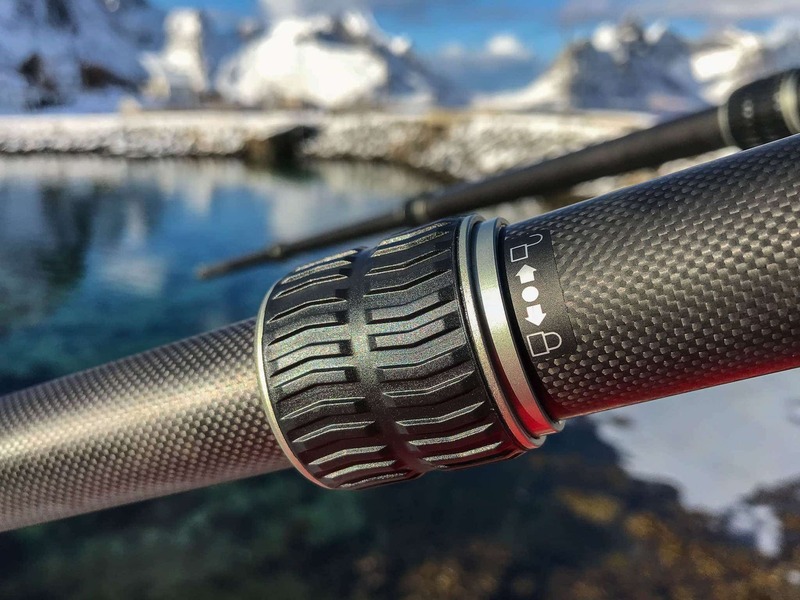 The materials have been really up to the situation: every single component reacts perfectly at low temperatures, and the feeling of sturdiness and reliability is incessant. 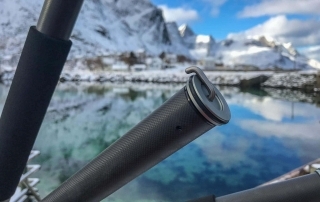 In the absence of wind I have also tried to fasten a backpack to the hook, but once again, thanks to the claws, this operation aimed at increasing stability becomes unnecessary, even with low loads like my configuration. 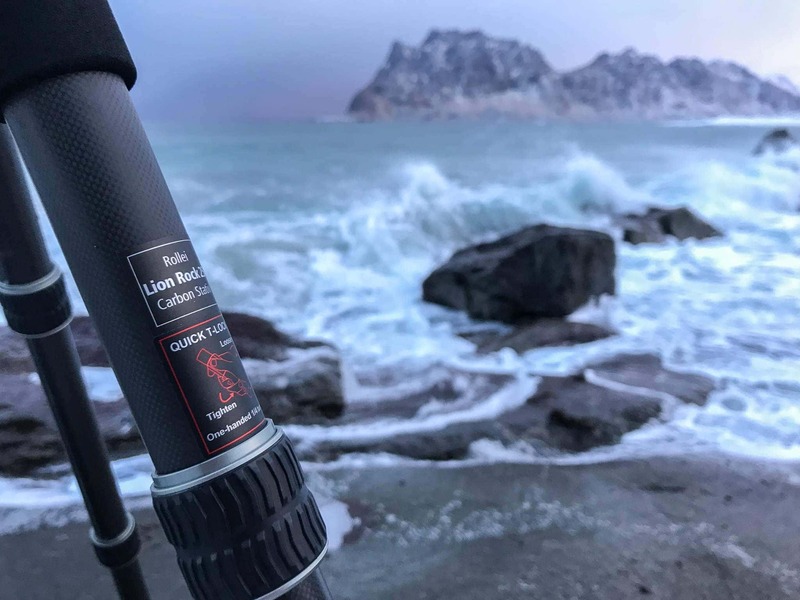 It’s difficult to use circumlocutions: the Rollei Lion Rock 25 Mark II is without any doubt the best tripod I have ever used. 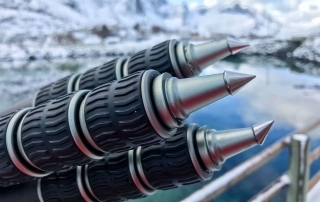 Surely there will still be elements that can be improved in the future, and that will emerge over time, during its use, but frankly now I can’t see any. 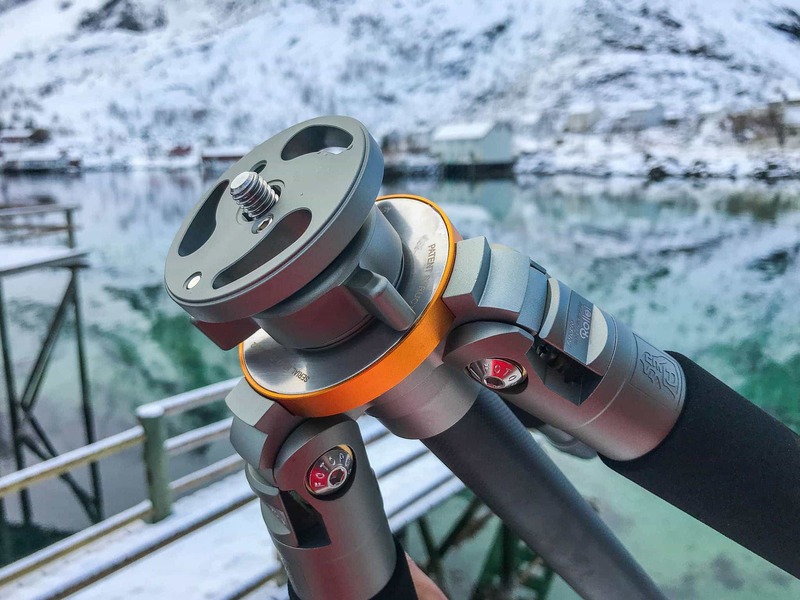 Undoubtedly the price is weighty, but the characteristics of this tripod put it among the top-of-the-line tripods for professionals: if with the Rock Solid series the reference parameter could be Manfrotto, here we really are in a different league. 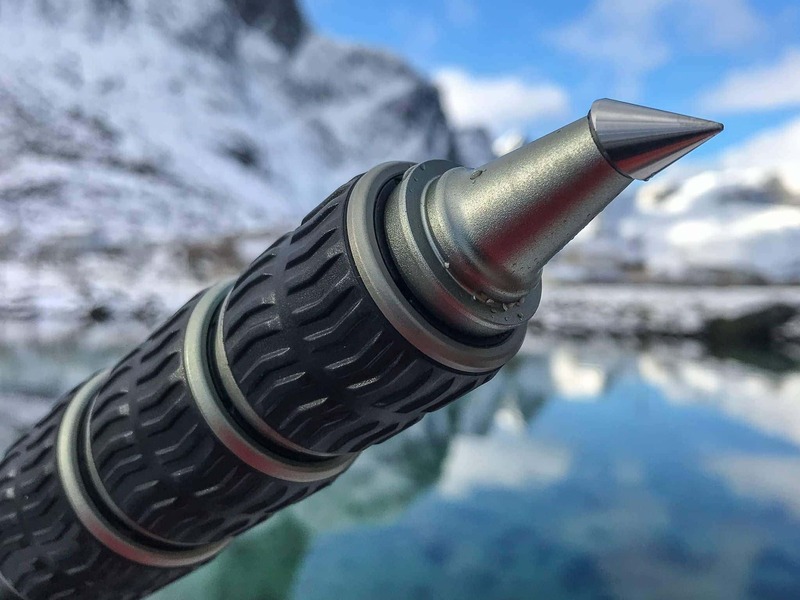 Stability is really absolute and there is no RRS or Gitzo that could compare: the characteristics of its construction put it on levels reached only by a few competitors, but with a more competitive price. 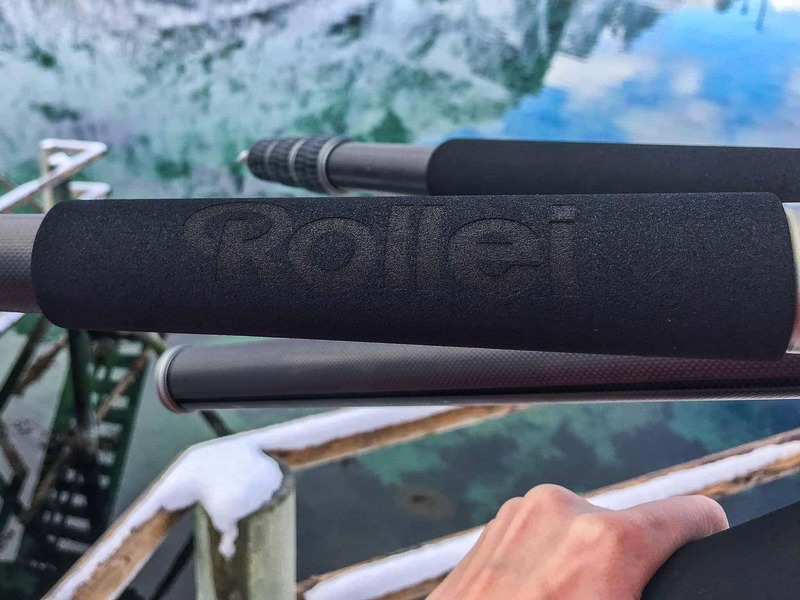 The Rollei Lion Rock Mark II doubtlessly earns a role as a regular player in my equipment, and I’m sure that as soon as you try it, you will fall in love with it too!